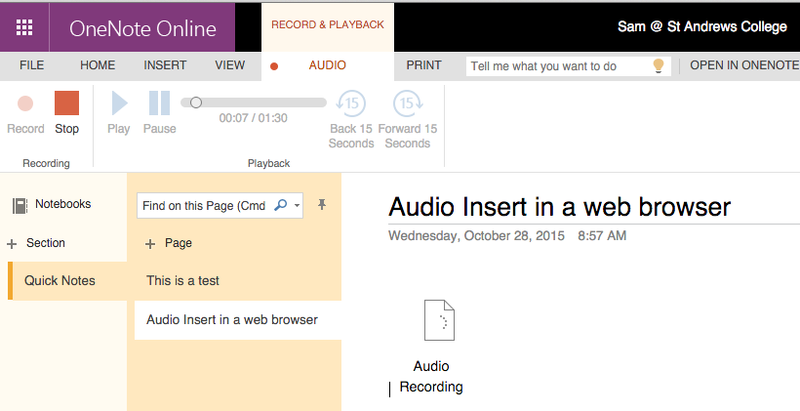 In a recent announcement this week, Microsoft have revealed tighter integration between OneNote and a range of Learning Management Systems including Moodle, which St Andrew’s College uses. One of the key new features is automatic enrolment of students from a Moodle course into the Class NoteBook in OneNote which would streamline the setup for teachers. I am really pleased to see this announcement because it highlights that Microsoft continue to see OneNote as complementing the function of Learning Management Systems in schools, rather than replacing them. 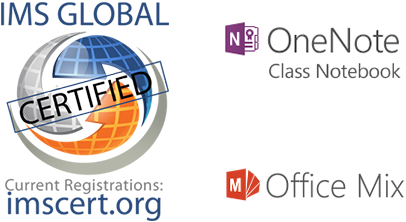 I wrote a detailed blog post about how OneNote and Moodle work fantastically together as each platform has it’s relative strengths and weaknesses that are rounded out by the other. Whether collaborating on a project together in OneNote, or simply wanting to record an image or brainstorm and mindmap for future reference, the ability to take a photo and know that it can be retrieved later is invaluable. It is really pleasing to see that these tools, that have become indispensable in education, have continued to receive regular updates and enhancements from Microsoft and I look forward to seeing how our teachers and students will maximise their value in (and out) of the classroom. This entry was posted in eLearning, Preparatory School, Technology and tagged Collaboration, eLearning, IMS Global, Information and communication technologies in education, Learning management system, Microsoft Lens, Microsoft OneNote, Moodle, MSFTedu, Office Mix, Office365, OneNote Class Notebook Creator, OneNote Online, St Andrew's College, Student Work, Training, YouTube by Sam McNeill. Bookmark the permalink.